Shashi Tharoor slams Rajnath Singh's excuse on Rohingyas: How to apply for refugee status when there is no mechanism? Shashi Tharoor said the government’s stance on Rohingyas was ‘absolutely cruel’ because India doesn’t have any legal means for applying to be a refugee. What does it cost to keep the Rohingyas in India? CHENNAI: Reacting to Union home minister Rajnath Singh’s statement that the Rohingyas are illegal immigrants because they never applied for refugee status, Congress MP from Thiruvananthapuram Dr Shashi Tharoor on Friday said the government’s stance was ‘absolutely cruel’ because India doesn’t have any legal means for applying to be a refugee. “How can you blame the Rohingyas for something for which there is no mechanism?” asked Tharoor, who was speaking at an event organised by All India Professionals’ Congress in the city. 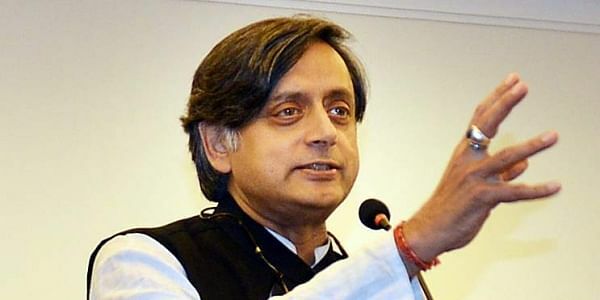 In 2015, Tharoor flagged the need for India to have a legal policy and framework to deal with refugees and asylum seekers by introducing ‘The Asylum Bill’. However, the bill is yet to be taken up for consideration. Known to be a prolific speaker who doesn’t mince his words, Tharoor, who under the Manmohan Singh's prime ministership was the minister of state for external affairs, did not hold back from criticising the present government on a number of policy stances. He claimed that under BJP more people have dropped below the poverty line in comparison to the 10 years of the UPA government where 10 million people, every year, made it out of the BPL. Tharoor also remarked on the recent increase in petrol and diesel prices. “The prime minister who gave speeches attacking the prices of petrol and diesel has managed to raise the prices of petrol and diesel in India, while the global prices have plummeted,” said Tharoor.